Trend alert – the smart home is getting even smarter! In this week’s blog post, we’re sharing some of the smartest and techy savvy products we discovered at the International Builder Show. Whether you are building or remodeling, technology is becoming more accessible in price and easier to install and integrate throughout your house. The number one trend in smart technology is peace-of-mind. Products that allow homeowners to monitor their space and control it from afar seem to be the number one driver in innovation. Additionally, technology continues to get smarter and more integrated which is creating a transition from devices that only react, to devices that listen, learn, diagnose and problem solve on their own. We continue to see voice activated as well as motion-sensored devices dominate the space. 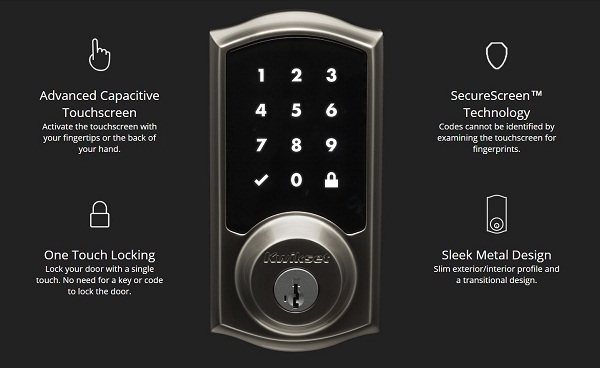 We visited with Kwikset Locks to test their new Apple Home compatible smart lock. Not only can you get into your house with a customized code, but you can open the door with voice-command from Siri and lock and unlock through the app. 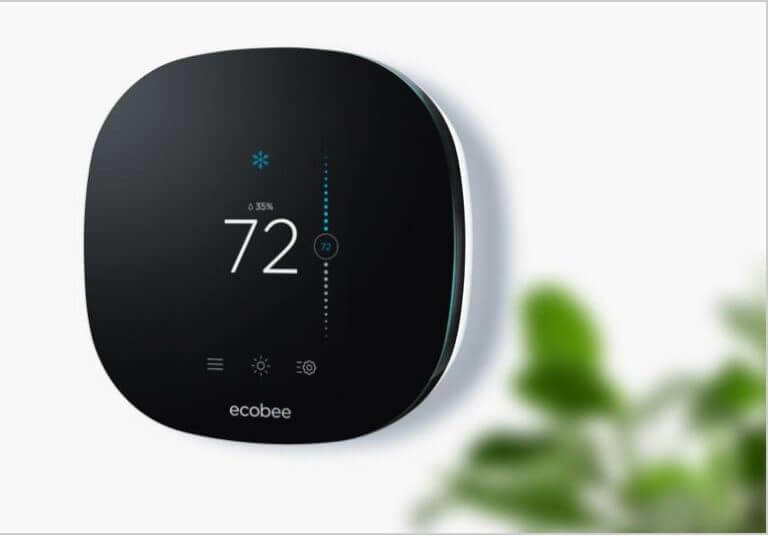 Smart thermostats like Ecobees and Nests are still one of the top smart devices in homes and are becoming even more compatible with Alexa and Google Home integration. At Monogram appliances, we learned about their smart fridge and freezers that have smart drawers that can be set to defrost mode and then transition back to freezer mode if they aren’t opened within a certain time window to minimize food lose. 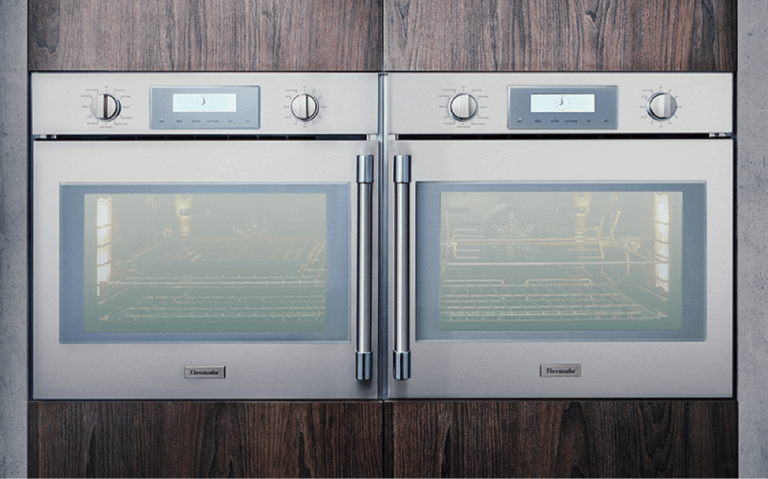 Steam ovens and speed ovens are rising in popularity and many appliance brands now have apps that allow homeowners to register the product, get alerts when maintenance is needed and monitor/control from an app or voice activation. For example, we love Lutron’s Casada lighting which allows you to pair lighting, speakers and even window coverings to set “Scenes” for your home. Imagine saying “Alexa, set morning scene” and your shades open, bedroom and bathroom lights come on and good morning playlist starts playing. From morning to party scenes, these pre-set scenes create an amazing experience for the homeowner. These are just a handful of our favorite new technology trends. Goodbye are the days of hiring a specialist to integrate your home with cool tech devices. It’s so easy you can do it all yourself now!